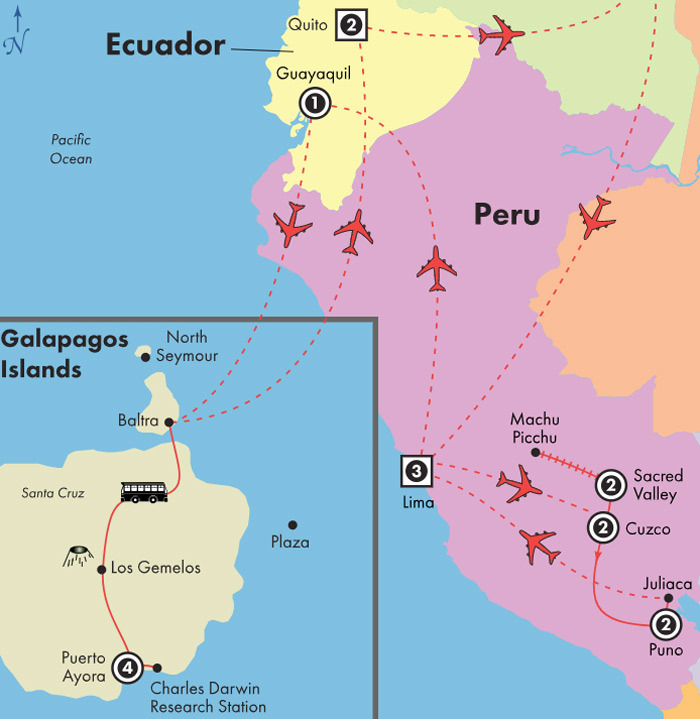 This 17 day “on-the-go” program features the highlights of Peru & the Galapagos in an active itinerary which includes several walking tours as well as some early starts and long days. Due to the high elevation, travel in the Peruvian and Ecuadorian highlands may cause some passengers to experience the temporary effects of altitude sickness. If you have any concerns about traveling to higher than your accustomed elevation, please consult your healthcare provider. This first class hotel is located in the city of Cusco. This first class hotel overlooks Lake Titicaca.